Jerry Hoffman is Founder and Partner of Hoffman Strategy Group. For over 30 years, Jerry has provided strategic advice to property owners, developers, publicly-traded REIT’s, private equity firms, Fortune 500 companies, public sector agencies and non-governmental organizations on projects in hundreds of markets across the U.S. and internationally. He has extensive experience conducting market and feasibility analysis related to multi-family housing, hospitality and commercial real estate, economic impact studies, and highest-and-best uses analysis that focus on the integration of mixed-uses in place-making environments. Mr. Hoffman is a highly sought-after expert resource and trusted advisor because of his unique economic perspective and comprehensive range of insight reaching across all areas of real estate markets. Jerry provides sales projections, site location analytics for acquisition, development, leasing and asset management and incorporates quantitative and behavioral Economics of Location™ for the optimal mix of uses and tenants. Dan Sheridan, J.D., is a Partner of Hoffman Strategy Group. Mr. Sheridan is nationally recognized for his over 20 years of extensive experience in the shopping center industry, in mixed-use master planning and programing, and in general redevelopment and repositioning of retail real estate assets. Mr. Sheridan focuses on developing value creation strategies that include asset redevelopment, repositioning and mixed-uses. Previous to Hoffman Strategy Group, Dan was COO of Centennial Real Estate. 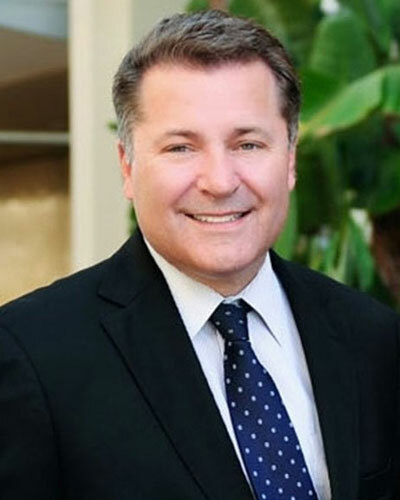 As President of the Retail Properties Division at the Irvine Company, he was responsible for their Retail Properties portfolio, including Fashion Island in Newport Beach, the Irvine Spectrum Center in Irvine and the Market Place in Irvine and Tustin, California. At General Growth Properties (GGP), Dan was their Executive Vice President of Asset Management responsible for overall financial and operational performance, including new development, redevelopment, leasing, marketing and operations of a 50M SF portfolio spread across multiple states. Jeff Green is a Partner of Hoffman Strategy Group. Mr. Green was formerly the President and CEO of Jeff Green Partners, which merged with Hoffman Strategy Group in 2018. He has 35 years of extensive national consulting experience in the retail industry providing a full spectrum of analytical and data interpretive services. Jeff provides the kind of in-depth analysis that generates critical context, penetrating insight and actionable recommendations based on sales projections, demographic profiles and feasibility studies. Jeff has provided extensive and valuable strategic direction across the country and Internationally to leading retailers, property owners, and developers for development and repurposing ventures. When national media needs industry analysis, they turn to Mr. Green for his expertise, experience and insights on retail and redevelopment trends. Mr. Green was President of the Market Insite Group which specialized in developing web-based tools to assist retailers and property owners in site and tenant selection. He was also President and Owner of The Green Group which merged with the Market Insite Group in 2001. In total Mr. Green has had 35-years of experience of providing consulting services to retail, restaurant and entertainment tenants.